The protection of our kiosks is a priority, therefore, PARTTEAM & OEMKIOSKS continues to develop safety and prevention systems in the transportation and distribution of its equipment. 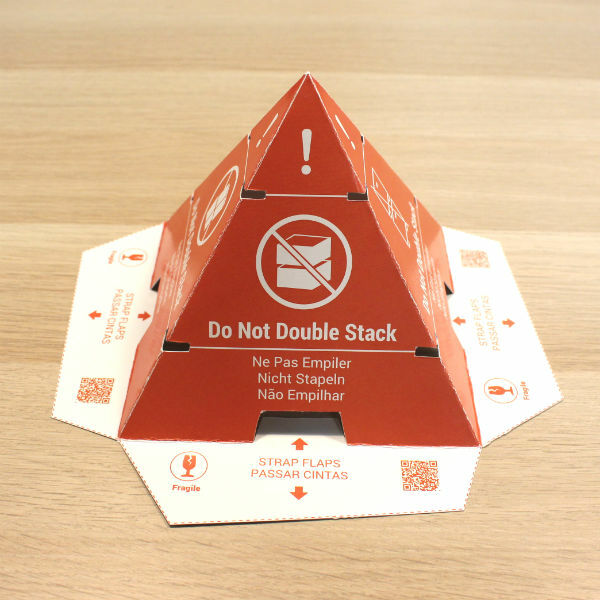 We use the protecions pyramids, which are placed when the kiosks are packed and so we ensure that other boxes are not stacked on top. This not only confirms our concern to keep the equipment safe in transport, but also assures the customer that the equipment was transported with the highest possible safety! PARTTEAM & OEMKIOSKS assumes all necessary logistics related to the packing, transportation and delivery of the kiosks, in perfect conditions. Our experience allows us to have the best protection techniques in the transport of kiosks. In addition, our equipment has a guarantee that varies according to the components that are part of the kiosk.